We design thoughtful, elegant lighting. your space to the next level. When Julie designed her first piece of custom lighting, she knew she had found her calling. It is both the art and the craft of creating custom lighting that is her passion and her life's work. 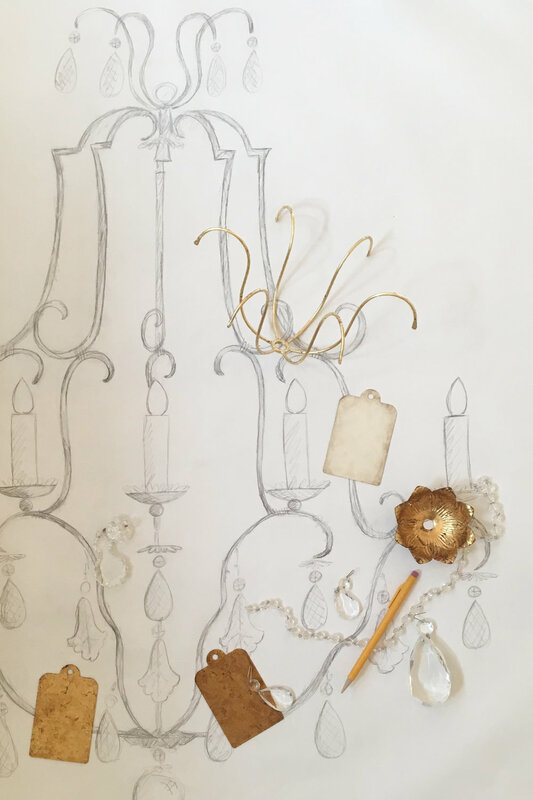 Collaborating closely with each client, Julie draws each design by hand and oversees the finishing of each piece, which results in a beautiful artisan made fixture, skillfully crafted and carefully rendered in her New Orleans Studio. As a child, Julie's daughter Isabelle grew up with the experience of seeing her mother grow her business from one piece of custom furniture into a nationally known custom lighting brand. Her fascination with this transformation led her to study business at Tulane University and to join her mother as they take the business into the next generation. Isabelle has recently become Director of Sales and Marketing and enjoys working with our existing clients as well as developing relationships with new ones to provide the perfect lighting for their projects. Both Julie and Isabelle consider themselves lucky to be able to work together to help their clients light up their beautiful places and spaces. We start by working with you one on one to build the perfect light fixture for your space. It all begins with an inspiration, a drawing, an exchange of ideas. Our favorite projects are those where we collaborate with a designer or home owner to imagine and craft the perfect piece of lighting for their individual project. We intentionally keep our studio small, which enables us to create very custom pieces, each made to order and tailored to the specifications and desires of our clients. Whether the selection is made from our catalog of fixtures or given form from just a seed of imagination, we work with you to create lighting that will illuminate your spirit as well as your environment. Keep up with our latest projects and creations and get a fun, behind the scenes glimpse into the Julie Neill Designs Lifestyle on Instagram.